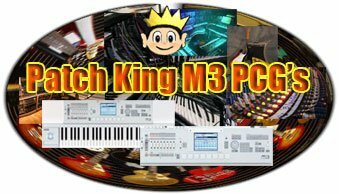 Patch King M3 Collection Fully compatible with the M3 "Expanded 2.0" Operating System. The most complete sound library anywhere for the Korg M3 - weighing in at: 290 Programs, 208 Combis, 5 New Drum Kits and over 250 Megs of New Samples! 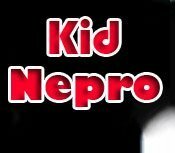 Get the best for your next production with Kid Nepro's M3 Sound Library. Order our free download delivery and get your new sounds today! Vol #1 - ORIGINAL - Proto Rock V1.1 - 64 Programs/64 Combis/56 MB Samples $50. Vol #1 - Proto Rock V1.4 with Radias Rock Update - 96 Programs/96 Combis/56 MB Samples $75. Vol #2 - Soundtrack Mix - 64 Programs/48 Combis/64 MB Samples $50. Vol #3 - Hit Factory - 64 Programs/32 Combis/5 Drum Kits/25 MB Samples $50. Vol #4 - Killer Keyboards - 32 Programs/16 Combis/58 MB Samples $30. Vol #5 - Vintage Synths - 32 Programs/16 Combis/64 MB Samples $30. SPECIAL BUNDLE - Get ALL FIVE VOLUMES For Only $175. When the new Korg M3 workstation was released in 2007, we bought it without even bothering to hear what it sounded like. Having been programming Korgs synths for over 25 years, we knew it was going to sound amazing. Korgs latest generation of workstations has taken a big step up from where the Triton Extreme left off. As soon as you turn it on and play the first combi, you can hear the difference that the new EDS (Enhanced Definition Synthesis) chip can make. Once you add sampling functions with RAM expandable to 256 Megs, second generation KARMA and extensive real-time control to it, you get a very powerful instrument. Adding the Radias Synthesizer/Vocoder is the icing on the cake! We knew right then that we could now create a sound library like nothing we have done before. Mixing Sampling with KARMA and Radias now meant that the sky was the limit on what was possible. In that spirit we went about to program our first sound library for it and created Proto Rock. If you have not installed the Radias board yet, you can purchase the "original" Proto Rock Version 1.1 PCG and KSC files which includes 64 programs, 64 combis and 50 megs of new samples. However, if you do have the Radias synth installed then you can purchase Version 1.4 which includes an additional 32 programs and 32 combis designed for the Radias Expansion board. Just click on the above links for more info, MP3 demos and even some free radias programs and new prophet vs samples. It's all the highest of quality. All thrill and no fill! All our Korg M3 sounds are available via our FREE download delivery. After downloading just copy our M3 sounds from your computers desktop your USB flash drive or USB memory stick. Then connect your flash drive or memory stick to the M3's USB port and load. Quick and simple! No memory expansions are needed to use any of our sounds. Now Available! Vol #5 Vintage Synths - Our fifth collection of sounds for the Korg M3 Workstations is now available! An amazing assortment of fully KARMA-fied Programs & Combis perfect for Producers and Keyboard Players looking for some great classic synth sounds to add to their M3. SPECIAL BUNDLE PACK Get all five of our incredible M3 collections for only $175. That's right....Get Proto Rock 1.4, Soundtrack Mix, Hit Factory, Killer Keyboards & Vintage Synths for the speical low price of $175. A $60. savings! Please contact us if you have any questions about any of our M3 Sound Libraries.